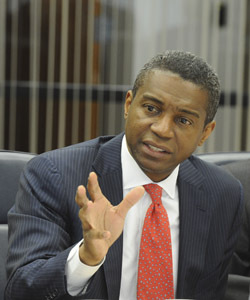 It started in May with a listening tour led by DASNY President & CEO Gerrard P. Bushell. He met with DASNY staff, its clients and partners. DASNY listened. DASNY heard them. Then, DASNY acted. On December 9, DASNY overhauled its financing guidelines and policy. The changes, approved unanimously by the DASNY board, will speed borrowers to the market. They provide certainty by doing away with unpredictable outcomes from often waived requirements for DASNY’s top-rated clients. The highest-rated borrowers now also have more control over their investments. All of this will expand DASNY’s legacy as the go-to issuer for financing and constructing the universities, libraries and hospitals that make New York a better place to live and learn. “This is a new era for DASNY,” President Bushell said. “We are being responsive to our clients’ needs, while upholding our hallmark transparency and accountability. These changes make DASNY’s services more competitive. We will continue to drive New York's economy by financing and building the social infrastructure that makes our communities work. We are a reflection of the broad interests of this great state." President Bushell outlined the changes in a speech to the Municipal Forum of New York on December 14. To read more about the specific changes, see this brochure. The new financing guidelines and policy can also be found on our website, dasny.org. Constructing sustainable, energy-efficient buildings provides more than savings and a clean environment, it also makes for healthier, more resilient communities. 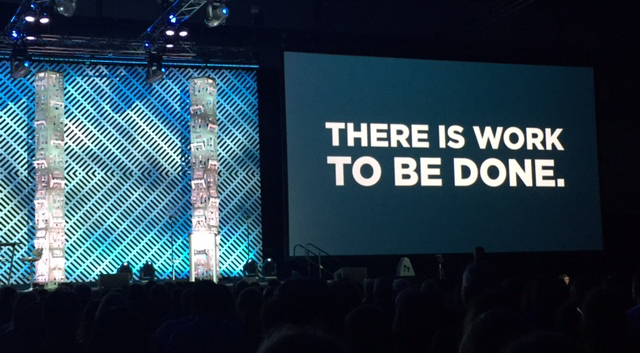 That was the message DASNY staff received from the likes of Titanic and Avatar director James Cameron while attending the 2015 Greenbuild International Conference. 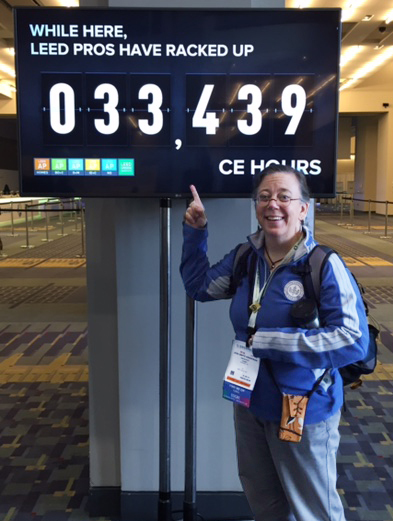 The November gathering in Washington, D.C. of 25,000 public and private builders was organized by the U.S. Green Building Council, the creator fo the LEED rating system. 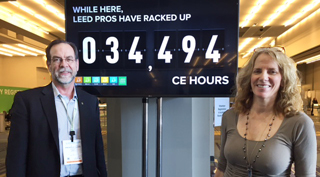 The annual event provides attendees with cutting-edge information that puts them in the green-building driver’s seat, said Jodi Smits Anderson, DASNY’s Director of Sustainability Programs. Green buildings help meet universally beneficial goals and focus on connecting community activities. For example, sustainable design looks at transit, bicycle and walking infrastructure to connect neighbors, businesses and communities. Greener buildings focus on energy efficiency in operations, first by tightening the building enclosure and then by applying renewable and efficient energy systems. Well-insulated and tight buildings provide resiliency as they can function much better in times of weather crisis and power outages, providing in-place shelter at reasonable comfort levels for several days. DASNY completed an exterior renovation project at Helen Hayes Hospital in Rockland County on time and under budget. The project, coordinated with the NYS Department of Health, replaced the façade on the 35-year-old main hospital building. Edmund Coletti, the hospital’s Chief Executive Officer, said DASNY was picked for the job because of its skill in handling a project of this size. The 155-bed Helen Hayes Hospital offers inpatient acute rehab services to individuals recovering from spinal cord and brain injuries, joint and orthopedic surgeries, stroke and neurological and cardiopulmonary disorders. Helen Hayes also provides comprehensive outpatient services to more than 200 patients each day. The quality care provided by Helen Hayes has dramatically changed the lives of many patients and families, according to patient testimonials. “I was lucky to be transferred to Helen Hayes Hospital for physical rehabilitation. Your facility is first rate. The patient rooms are spacious and clean. The therapy rooms are well organized. The food was very good. But the real treasure is your staff.” – P.O.P. 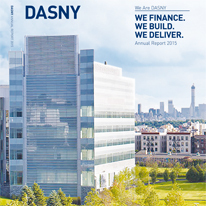 DASNY presents its 2015 Annual Report. DASNY delivers social infrastructure vital to students, teachers, doctors, families, at-risk communities, and the people of our great state. DASNY makes New York a better place to live, work and learn. Learn more about DASNY’s capabilities at dasny.org.